Originally made for 7DRL 2014, Mysterious Space tasks you with delving deep into the ZZ-Omega sector to recover an important piece of information, and to return with that information in one piece. To get there, you'll have to stop at planets along the way to find much-needed fuel. Arm yourself with procedurally-generated weapons, armors, and shields to defeat the enemies that stand in your way. Worlds of ice, forest, lava, and others! 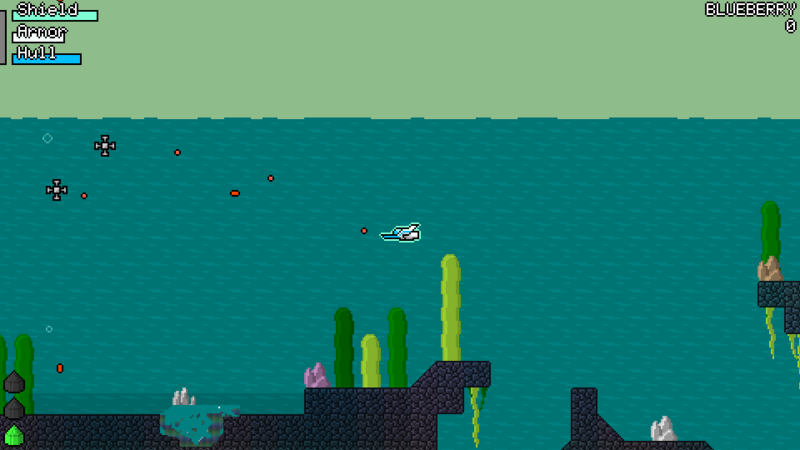 Plumb their procedurally-generated depths in search of fuel and other items! "Alien Artifacts" and "Advanced Technology", analogous to potions and scrolls: does the Red Alien Artifact repair armor, this game? Or will it scramble your sensors for 5 seconds? Upgrade Parts, which you can collect and use to further customize your ship! 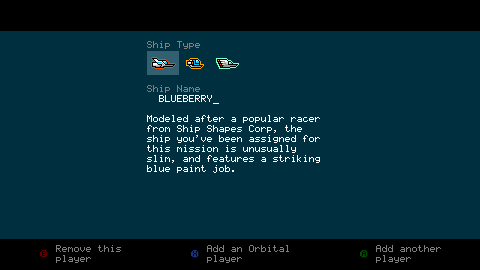 Unlockable ships, and other components, offering different play-styles and optional challenges. The vast majority of profits are being donated to non-profit organizations, focusing on those that are interested in space, health, and education, including The Planetary Society, the Project for Awesome, and Games for Change. A full list is available here. This page was last modified on 17 August 2017, at 14:24. This page has been accessed 28,202 times.